The Department of Social Sciences is home to two unique interdisciplinary graduate programs: MS and PhD in Environmental and Energy Policy, and MS and PhD in Industrial Heritage and Archaeology. Both programs involve interdisciplinary engagement across the social sciences, drawing on anthropology, geography, history, political science, and sociology, and using tools from geospatial sciences, archaeological sciences, statistical analyses, and ethnographic research to examine real-world problems impacting communities and their environments. We prepare students for professional opportunities that require interdisciplinary solutions in government affairs, industry, and academia. are interdisciplinary and prepare graduates to understand and solve the world’s most-pressing problems. offer funded opportunities for students. Most students in our programs are funded, with two years of funding available for MS students and three years available for PhD students. are student oriented, allowing for direct and meaningful engagement with faculty. provide opportunities for students to be involved in research, publishing, and professional development throughout their course of study. Graduate teaching assistantships, which include stipends and tuition waivers, fund up to two years of graduate training for the master's degrees and up to three years for PhDs. Research assistantships are also available through individual faculty research programs. Announcements are posted here when assistantships are available. We prepare students to conduct research that helps frame and support our society's environmental and energy policy goals, strategies, decisions, and programs. 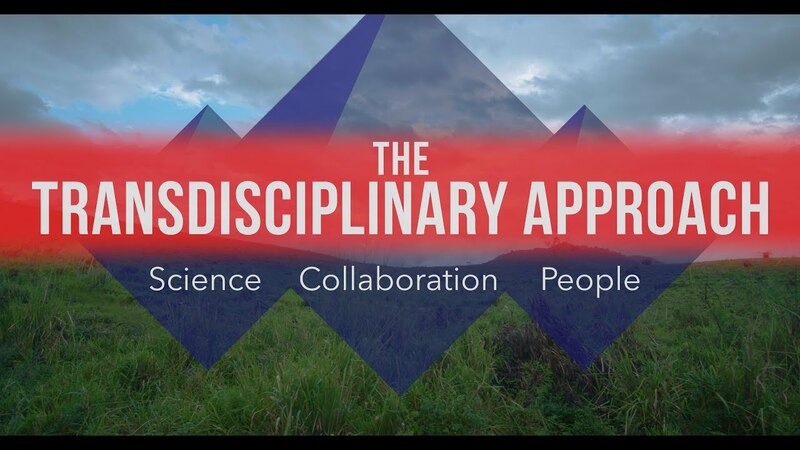 Students use tools and approaches from multiple disciplines for integrated, interdisciplinary assessment in sociology, geography, anthropology, political science, economics, history, sustainability science, and ecology. The master's program prepares students for private and public sector positions that require understanding policy in the context of citizen dynamics and wider societal issues. The PhD program prepares students for research careers in government, non-governmental organizations (NGOs), and corporate settings, and to specialize in specific policy areas and environmental issues. We prepare students to work on heritage issues in industrial communities and post-industrial sites. Our unique program, based in Michigan's Copper Country, draws from interdisciplinary concepts and tools in history, archaeology, and anthropology. Our students work with communities to interpret, document, educate citizens, and answer significant social, historical, environmental, and economic questions about the impacts and legacies of industrialization on communities. The master's program prepares students for cultural resource management positions in government for the private sector. The PhD program prepares students for research careers in heritage management in public and private sectors. Each of our graduate programs is oriented toward collaborative, interdisciplinary research experiences. As a masters student, you will complete an independent thesis research project in collaboration with a faculty advisor, which strengthens your ability to work with a variety of stakeholders in your professional field. The PhD programs prepare you to conduct critical research that informs policy and management decisions. The Department of Social Sciences is unique in its ability to provide opportunities to work with faculty across a wide range of disciplines on a variety of projects grounded in community well-being, social justice, and improved management of natural and cultural resources. We aim to provide funding support to graduate students in both MS and PhD programs through teaching and research assistantships. If you are interested in integrating your MS work with applied, community-based work, the OSM-VISTA program provides a way to enhance your experience while obtaining a degree. I welcome your questions about the opportunities available here at Michigan Tech, and thank you for your interest in our programs. The Department of Social Sciences at Michigan Technological University houses two distinct graduate programs: an MS or PhD in Environmental and Energy Policy and an MS or PhD in Industrial Heritage and Archaeology. Both of these programs provide unique opportunities to learn about the problems and possibilities for sustainable resource use and management. OSM/VISTA Master of Science degree programs blend practical field research and experience with community service in historic mining communities. We help students transform these pivotal experiences into professional careers. Offered through Michigan Tech's partnership with the program operated by the United States Office of Surface Mining Reclamation and Enforcement (OSM) and the AmeriCorps Volunteer in Service to America (VISTA) program, the program includes volunteer preparation, one year of service, and a return to campus, where students can earn a master's degree in industrial archaeology or environmental and energy policy. Houghton and Michigan’s famous Copper County and Keweenaw Peninsula are ideal locations to study industrial heritage. Faculty and students rely upon the superb holdings of the Michigan Tech Archives and Copper Country Historical Collections in the University’s J. R. Van Pelt and John and Ruanne Opie Library. The industrial archaeology graduate programs also maintain close ties with the Michigan Historical Center, Keweenaw National Historical Park, and Isle Royale National Park, as well as Hiawatha, Ottawa National Forests, and several state parks, wilderness areas, and heritage sites. Faculty and students work within several academic organizations. Of particular note, Michigan Tech provides leadership and programmatic support for the Society for Industrial Archeology (SIA) and The International Committee for the Conservation of the Industrial Heritage (TICCIH). Our department is home to the Social Sciences Student Society or SSSS, began in 2012. The society organizes student events, outings, internal seminars and paper presentations, and professional development opportunities.